World Class 2012 in partnership with the British Council bring you the stories of the schools where the dreams begin. 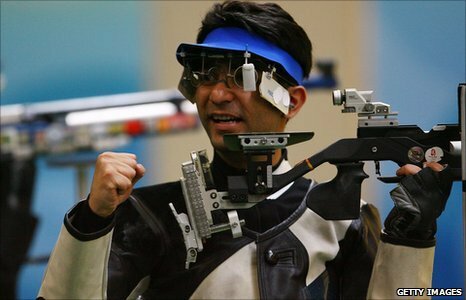 Abhinav is the World and Olympic champion in the 10 metre air rifle event. The gold Abhinav achieved in Beijing 2008 was India's first ever individual Olympic Gold medal and catapulted him to fame across India. 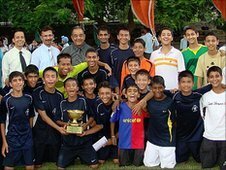 Abhinav studied at the all-boys, independent Doon School in Dehradun for two years before moving to the co-educational, St Stephen's School in Chandigarh, where he graduated in 2000. 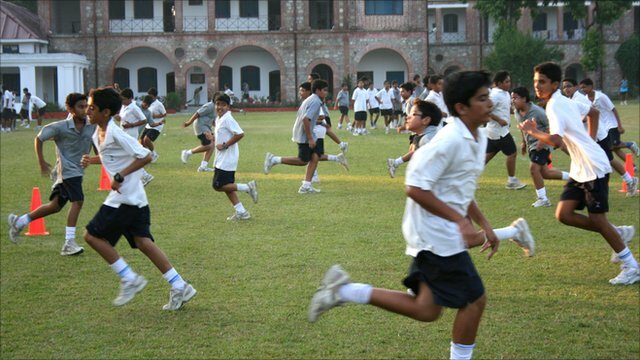 Tom Burridge travelled to the Doon School for BBC World Class to find out how the school breeds success. 'Semper Sursum' is the school's motto, meaning 'always aim higher', and in just under 30 years since the school was founded, St Stephen's are have already set the bar incredibly high. As well as shooting, St Stephen's principal, Harold Carver, names over a dozen pupils who have competed at national level in football, cricket and tennis. Find out more about St Stephen's School and how their football academy achieved success in the Manchester United Premier Cup. Abhinav is one of the athletes being tracked as London 2012 approaches and they strive to make their Olympic dreams a reality.